WOODLAND HILLS, Calif., April 7, 2011 -- Northrop Grumman Corporation's (NYSE:NOC) Relative Navigation system exceeded accuracy requirements during recent flight tests for the U.S. Air Force Research Laboratory's Automated Aerial Refueling (AAR) program. The tests were conducted in collaboration with the Air Force Flight Test Center's Test Operations Combined Test Force, the 190th Air Refueling Wing of the Kansas Air National Guard and the Calspan Corporation. The objectives of the AAR program are to demonstrate critical technology to enable refueling of unmanned aircraft and develop tools to support airworthiness certification for integration with the existing Air Force tanker fleet. 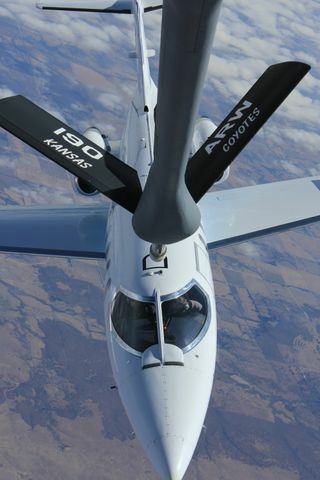 Employing a Learjet as a surrogate for an unmanned aircraft and a modified refueling tanker, Northrop Grumman's Relative Navigation software operating in the company's LN-251 embedded global positioning system (GPS)/fiber-optic inertial navigation system (INS) provided the precise positioning information required in support of the simulated aerial refueling mission. A series of eight flight tests demonstrated that Northrop Grumman's Relative Navigation software hosted in the LN-251 produces consistent and predictable real-time accuracy performance across data link drops and varying time delays, close proximity and mid-range vehicle separations. 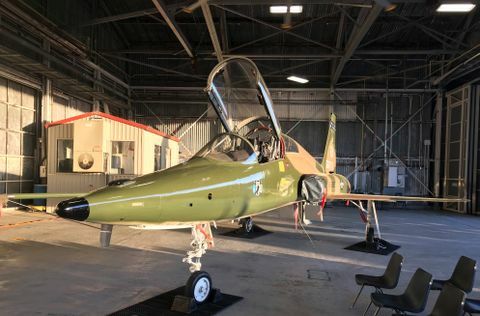 The test also successfully exercised a modified Rockwell Collins 24-channel GPS receiver with enhanced tracking capabilities integrated within the LN-251 chassis. 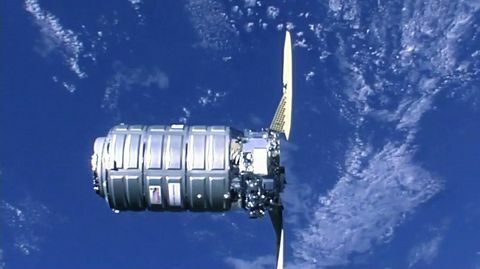 "This flight test demonstrated that our simulation tools and hardware-in-the-loop test environment can successfully predict and model our Relative Navigation solution performance for the AAR mission," said Dr. Charles Volk, vice president and chief technology officer for Northrop Grumman's Navigation Systems Division. "This successful demonstration shows that our solution can be utilized for refueling mission planning and performance modeling for future applications, such as a precision approach and landing, where moving vehicles must operate cooperatively in close proximity as well as scenarios with larger separation between vehicles." Northrop Grumman has been involved with the AAR program since 2006. 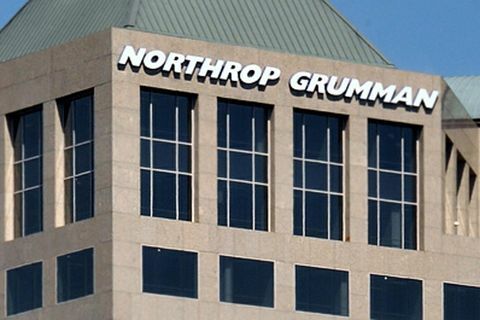 As part of its program involvement, Northrop Grumman has supplied the Relative Navigation software and hardware, developed test equipment to support the data collection and monitoring for lab and flight testing, performed technical analyses and supported all flight tests. The recently tested software improvements to the Relative Navigation system will be used to validate the modeled availability, continuity, integrity and accuracy for operational performance of the system. The LN-251 systems utilized for this demonstration are the smallest, lightest navigation-grade embedded GPS/INS units available. They contain a high-performance navigation-grade fiber-optic gyro-based inertial measurement unit, providing a compact and low noise precision navigation solution for the relative navigation applications. The LN-251, with its Ethernet interface, is easy to incorporate into new aircraft and avionics systems of existing aircraft. Its modular open architecture supports additional applications and evolving requirements.